The UNLV Athletic Department benefits from the generosity of committed alumni, community members, parents and friends who have included the athletic program in their charitable giving and financial planning. All philanthropic contributions are tax deductable. Priority donations tied to season tickets cannot be. Please contact your tax advisor for more information. You can become a member of the Rebel Athletic Fund with a $25 minimum donation. Your contribution is used to fund scholarships for student-athletes. Credit cards or checks are always acceptable. 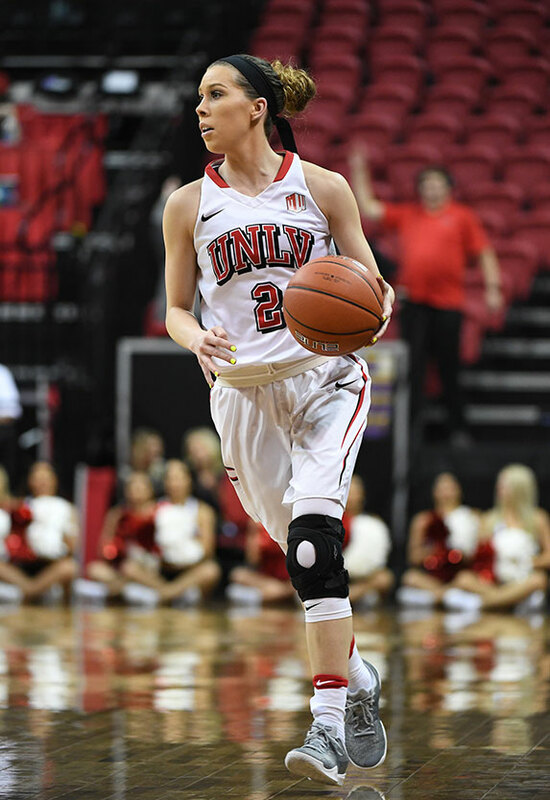 Gifts are acknowledged by receipt from the UNLV Foundation and the Rebel Athletic Fund. Make all checks payable to UNLV Foundation. Donations are the fuel that drives UNLV Athletics. The Rebel Athletic Fund exists to coordinate and administer major gifts to the Athletics Department. These gifts are graciously accepted and provide funding for several aspects of men's and women's programs, from endowing student-athlete scholarships to helping fund much needed facility improvements. It is a great way to support UNLV Athletics. This program is designed as an easy and effective way for RAF members to channel gifts to specific sport programs within the UNLV Athletic Department. These gifts enable coaches to supplement the operational budget of their sport used for recruiting, equipment, team travel and other various expenses. Capital Campaign gifts are used to build and enhance athletic facilities for UNLV Athletics. There are numerous capital needs within UNLV Athletics; currently we are working on the Mendenhall Center which is a state of art Men's Basketball practice facility. A gift-in-kind is a contribution of tangible property such as products, services, equipment or merchandise in place of a cash donation to the Rebel Athletic Fund. These gifts provide budgetary relief for the athletic department while providing tax relief and other benefits for donors including priority to purchase season tickets and parking. All gift-in-kind pledges must be approved by the Rebel Athletic Fund staff before qualifying for priority benefits. Appreciated securities, real property or tangible personal assets are accepted by the Rebel Athletic Fund. Many companies match employee contributions. Gift credit is given for your personal donation and the company's matching gift. Please consult the benefits office at your place of employment. You may be able to double or triple the value of your gift and benefits. Please check with the Rebel Athletic Fund and the matching company to be sure that the matching sum can be applied to for donor benefits. If the company chooses to stop matching a donor's gift, the donor is responsible for the entire annual contribution to maintain the same benefits. The endowment program represents a long term resource which can offset the financial strains of escalating scholarship costs, rising operational expenses, and the need for facility enhancements. There is no better way to have your name, or that of a loved one, permanently associated with UNLV Athletics. Endowments come from the heart, and they all share a common goal - ensuring the future of excellence in athletics at UNLV for generations to come. Gifts through wills and bequests can provide you with benefits and the opportunity to sustain your family name through endowed scholarships with the UNLV Athletic Department. Estate gifts can be made with a designated amount, a real asset, or a residual bequest. Please consult your attorney. The Rebel Athletic Fund can provide the appropriate wording for inclusion in your planning. Benefits for these gifts must be evaluated on an individual case basis. Charitable remainder trusts can provide current tax advantages while providing the donor with income for a designated period of time or life. They provide the Athletic Department with an endowed scholarship or operating fund gift upon the completion of the trust or donor's death. You also are encouraged to consult your tax advisor. Benefits for these gifts must be evaluated on an individual case basis.